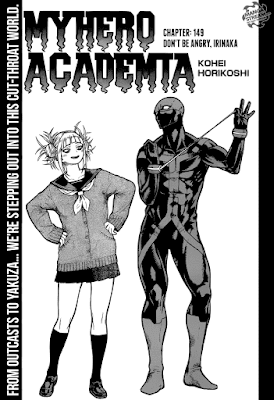 This chapter begins with yet another flashback, where Toga and Twice are introducing themselves to the Yakuza members. Twice is weird, going back and forth as if he is two different people, making the Yakuza worry a bit. Toga is reluctant to tell them about her power, but thanks to Twice's mood-swings, both the villains explain how their quirks work. Overhaul welcomes them to the Eight Precepts of Death, after confirming they aren't going to betray him, and the weird tiny Yakuza starts swearing and threatening them. Apparently, he actually thinks Yakuza are worth bragging about in this series. Finally, we return to the present. Hmm... Not bad, but it's not Hisoka-level. The entire room is in chaos thanks to Irinaka's rampage, and Toga is counting on this by teasing Irinaka relentlessly. This causes Irinaka to show himself slightly, and Midoriya uses his strength to break open the wall and have his quirk removed by Eraserhead. 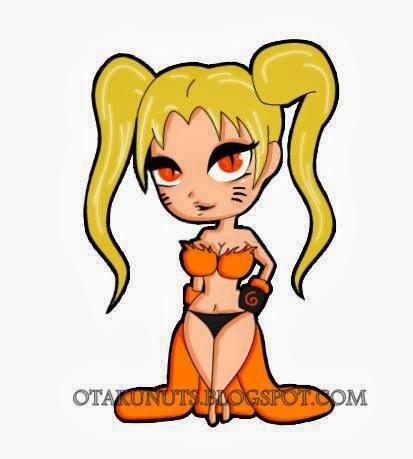 As Irinaka falls, he gets a final teasing from Toga and Twice before he is knocked out by Nighteye. The chapter then comes to a conclusion by going back in time a couple of minutes to when Mirio stood face-to-face with Overhaul! In the next chapter, Mirio and Overhaul are glaring. Overhaul starts to taunt Mirio, reminding him about when they last met and Mirio convinced Midoriya to leave the little girl behind and he isn't hero material. Mirio charges forward but is suddenly dizzy, thanks to a member of the Eight Precepts, Deidoro Sakaki. 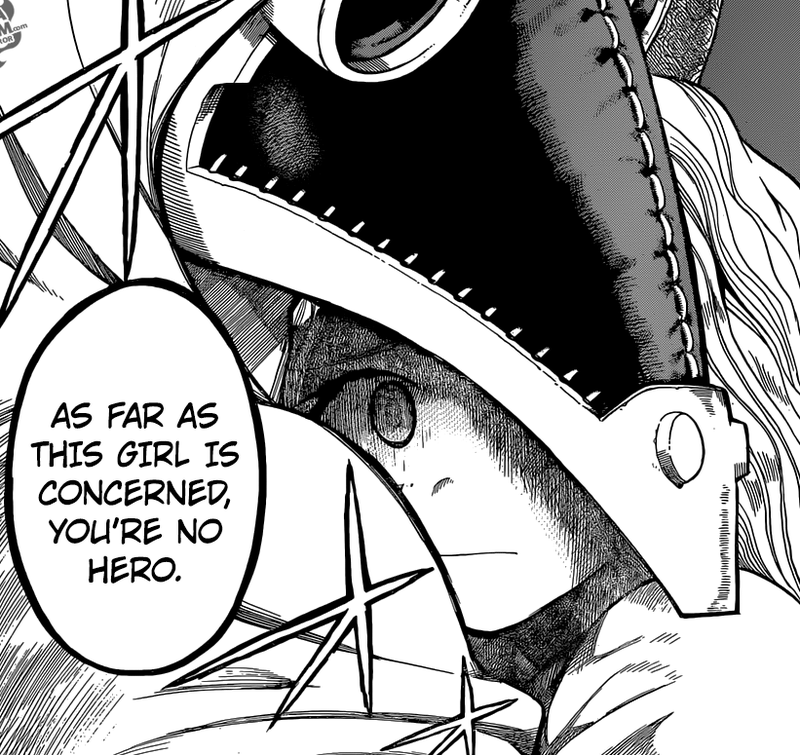 He is then shot at by another member, Shin Nemuto, who you may remember being in the room when Overhaul talked to Toga and Twice. Um... Well, I think she'd rather go with Tintin than a long-haired Jim Sterling to be honest, no matter what she thought he was. 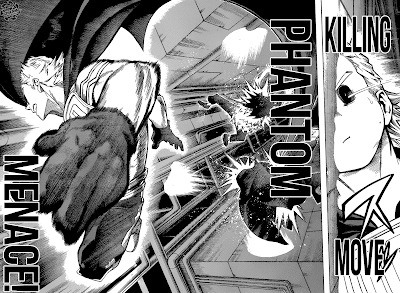 Mirio quickly realises that Nemuto's Quirk causes him to speak the truth to every question he is asked, and the two working together are about to break his resolve and kill him... until he suddenly strikes them both down with style! Thanks to his own power of going through walls, he rushes up to Overhaul and manages to grab Eri, the little girl, from his grasp. Opinion: So Mirio is gonna die! Yes, the superhero doppelganger of Tintin is awesome, and his resolve to be a hero who can save the day is also tons of fun, but he is absolutely screwed. Maybe he won't actually die, but I have been predicting that this arc will end in a disaster and the defeat (and possible death) of Mirio seems like the perfect one for a heroic character whom Midoriya looks up to like an idol. KUROKAMI PHANTOM!!! .....wait, how many of you even get that joke? Okay, if you don't get that joke then go read Medaka Box. It's surprisingly good if you like surreal storylines. Once again, the Yakuza just aren't that interesting. Their attacks are brief and disappointing, as are their personalities. While some of the designs are great, especially Nemuto's, it has been a bit of a boring slog when we have nobody but them to focus on. Irinaka was just an angry guy, and he made the pages look like a mess. I don't want to have to struggle to see what's going on in the pages! At least Overhaul is still great. Of course, Toga and Twice stole the show and managed to be endearing amongst these unworthy cretins. Thanks to Nemuto's quirk, Twice and Toga managed to get a few laughs during their flashbacks and have once again shown that they have the best dynamic of any of the villains in this series. I'm looking forward to when we don't have to deal with Yakuza anymore and we can focus on these folk again. Character of the Week: Mirio for his resolve and badass attacks. 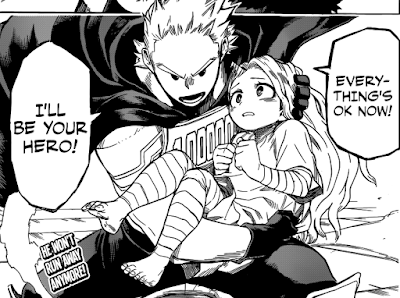 Best Part: Mirio saves Eri! He didn't even get her shoes? Wow, Overhaul really is a bad father!